During the rainy season normally there is abundant rainwater available for irrigation purposes in northern Namibia. This rainwater can be harvested from different catchments and stored to be used during the dry season. With the different rainwater harvesting pilot plants in Epyeshona the German-Namibian project team from CuveWaters together with the local community has developed solutions for agricultural irrigation during the dry season. On 23 November, the rainwater harvesting plants in the Oshana region near Oshakati were officially handed over to the village community. The project CuveWaters is being funded by the German Federal Ministry of Education and Research (BMBF). Under the lead of ISOE – Institute for Social-Ecological Research the project team had been exploring different concepts of rainwater harvesting. The rainwater harvesting plants were developed and implemented by the Technische Universität Darmstadt. The plants collect rainwater from different surfaces such as roof and ground catchments. 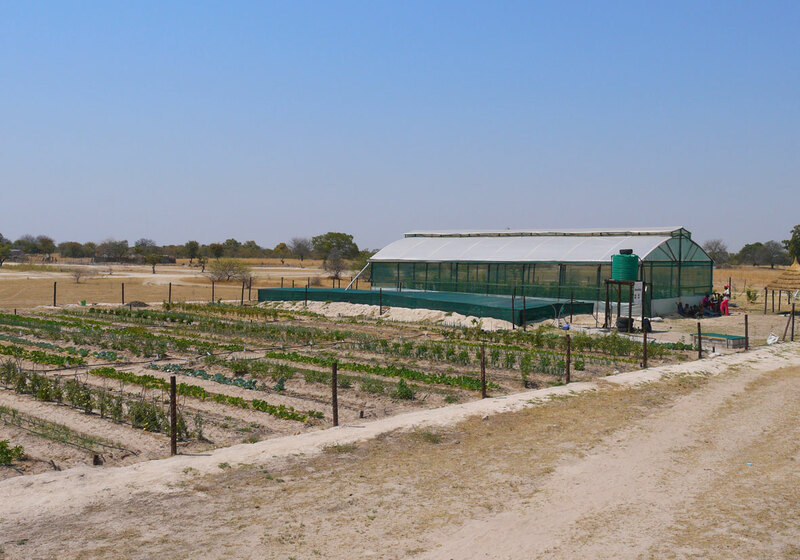 The water is stored in tanks and ponds of different materials and can then be pumped into smaller raised tanks when needed in the drip irrigation system. During the dry season several families are using this water to cultivate vegetables. 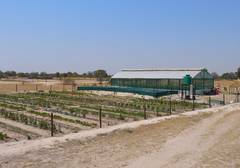 They use it to irrigate tomatoes and green pepper within the greenhouse as well as a vegetable garden with onions, carrots and water melon by applying water saving drip irrigation. The users also sell vegetables on the market. “Our village really changed, our village now is so very developing because some of the houses have a garden”, says Emerita Iipinge.” Even a small garden for tomatoes or for spinach or green pepper, guavas, mangos and some trees. Now the people understand how they can plant and how they can make their own food.” Emerita Iipinge is one of the new farmers and the acting headwoman of Epyeshona. All farmers were trained in agriculture and in efficient water use. “The fact that we succeeded in establishing rainwater harvesting in this region is an excellent result of the close cooperation with the local population”, says project leader Thomas Kluge from ISOE. He points out that the harvesting and storing water mitigates the risks of climate change. “With the help of small-scale plants like these our project exemplarily demonstrates how natural water resources could be sustainably tapped in other dry regions of this planet as well”. The rainwater harvesting plant is part of the CuveWaters overall project in the course of which pilot plants were developed with the help of various technologies in order to utilize local water resources and relive the central water supply system. The joint project CuveWaters of ISOE and TU Darmstadt (Institute IWAR) is being funded within the funding measure Integrated Water Resources Management by the German Federal Ministry of Education and Research (BMBF). It is part of the Funding priority “Sustainable Water Management” (NaWaM). 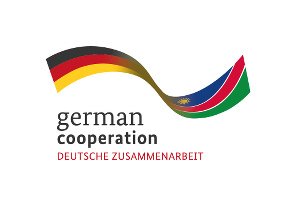 The Namibian cooperating partners are the Ministry of Agriculture, Water and Forestry (MAWF), the Outapi Town Council and the Desert Research Foundation of Namibia (DRFN). Besides Epyeshona there are project sites in Outapi, Iipopo, Akutsima and Amarika.